Is féidir an bille scoile 2017/2018 a íoc ar líne anois. Meabhrúcháin go mbeidh oraibh gach íocaíocht a dhéanamh ar líne as seo amach. An liosta leabhar scoile 2017/2018 ar fáil ar suíomh idirlín na scoile. Nó cliceáil ar an nasc seo. Ní bheidh mé ar fáil ar an Aoine bheag seo 23/06/2017 Ná tar isteach ar an Aoine ma tá aon gnó le déanamh mar beidh mé as láithir. I will not be available this Friday. If you have any business to do in the office, come any other day. 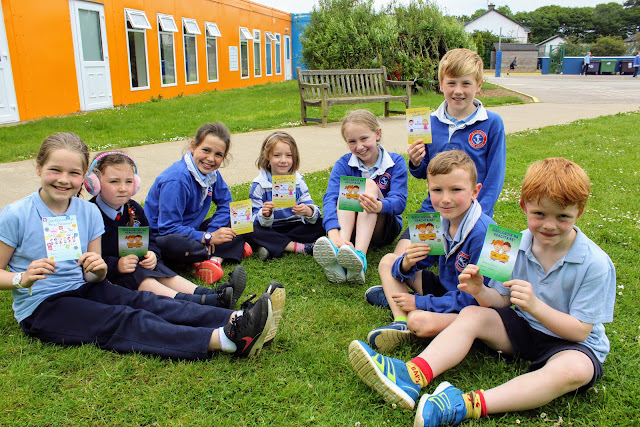 Kinsale library will run the Summer Stars Reading Adventure for children in all library branches during the summer from now to the end of August. Summer Stars is an exciting reading-based programme which is available free of charge to children across the country. We would be delighted to welcome all children to join in. We are very happy to work with teachers and families to encourage children to continue reading and also to participate in our range of storytelling and other fun activities during the summer. Each child is invited to register for the adventure at their local library and enjoy reading many books as part of the adventure during the summer holidays. All participants will be given a Summer Stars Reading Card to record and track their own progress and a library reward stamp will be added to their reading card at the library after each book read. Children will be encouraged to continue reading throughout the programme and there will be rewards and incentives along the way. At the end of the adventure, all children who participate are invited to attend an award event at which they will be presented with their own Summer Stars certificate. Children and families will also have access to fun reading activities on the Summer Stars website,www.summerstars.ie. The site has lots of online activities as well as a range of animated ebooks. You will find a children’s books discussion board and interviews with well-known people about their favourite books. There are also helpful tips for reading and recommended titles by age group for children to read. The books can then be borrowed from your local library service, and it’s all free. Events for children will also be held in your library service during the summer. Further information is available from Kinsale library or on www.librariesireland.ie. Beidh siúlóid Corpus Christi ar siúl tar éis aifreann 12.00 an Domhnach seo an 18ú Meitheamh 2017. Ta fáilte roimh páistí ó gach rang páirt a ghlacadh ann agus beidh éadaí Céad Comaoine ar na páistí Céad Comaoine ó na scoileanna áitiúla ar fad. The Corpus Christi procession will take place on Sunday 18.06.2017 after 12 o clock mass at St. John the Baptist Church. All children and families are invited to walk and the First Holy Communion classes from all the local schools will be wearing their Communion outfits. Toddle Mór Bernardos €€€ ! D'eirigh le páistí na naí ranganna -Naí Shóis & Naí Shins €611.30 a bhailiú do Barnardos tríd an Toddle Mór a dhéanamh inné 14ú Meitheamh 2017. Maithsibh a pháistí (agus a thuismitheoirí!) as ucht a méid mór airgead san a bhailiú! 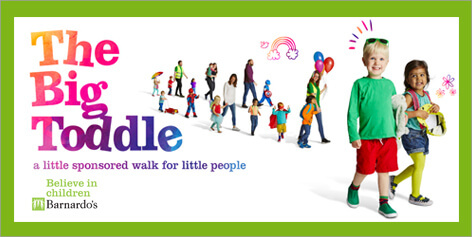 The junior classes -Junior Infants & Senior Infants succeeded in collectiing €611.30 for Barnardos by doing The Big Toddle yesterday 14 June 2017. Very well done to the children who walked (& their parents!) for raising the sponsorship money! Tá turas scoile Rang 3 agus 4 chuig An Glen ar siúl an Déardaoin 15ú Meitheamh 2017 ag fágaint na scoile ag a 8.50 ach bí ar scoil ag a 8.45. Beimid ar ais roimh am dul abhaile. Tabhair lón, deochanna agus éadaí sa bhreis leat ar eagla go mbeidh sé fluich. Bí cinnte go bhfuil uachtar gréine ar do pháiste an lá sin comh maith. Táimid ag súil go mór leis! Rang 3 and 4 will be going on their school tour to the Glen this Thursday 15th June 2017. We will be leaving school at 8.50 but be here at 8.45. We will be back before home time. Bring a lunch, drinks and a spare change of clothes in case it is wet. Please put sun cream on your child that day. We are really looking forward to it! Bhailigh Naíonáin bheaga agus Naíonáin mhóra €612 ar son Barnardos! D'eirigh linn! 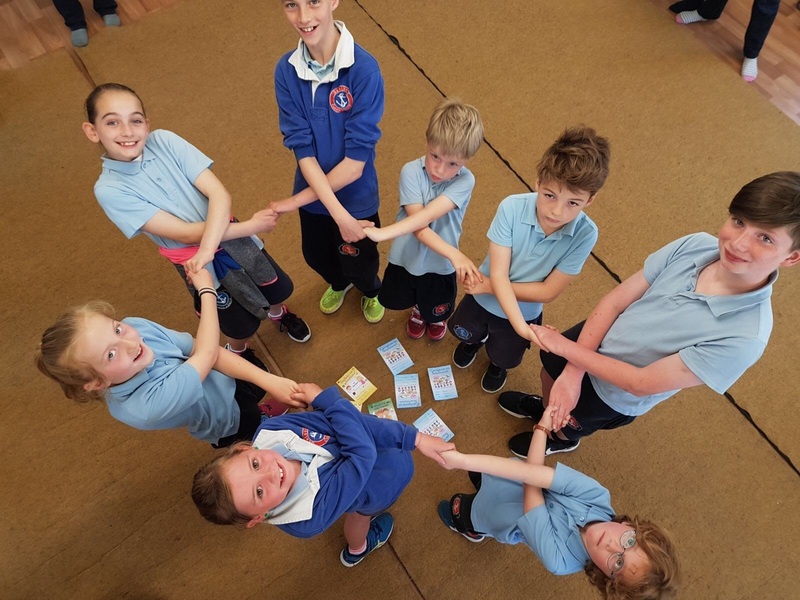 Táim chomh brodúil le rá gur eirigh linn Bratach na hEorapa a bhuachaint as ucht an dtréanoibre a rinneamar ar bhallracht na hEorpa agus saorántacht na hEorpa a staidéar ar scoil. Rinne ranganna 3-6 alán oibre air agus d'eagraíodar lá na hEorpa ar scoil chun seans a thabhairt do gach éinne foghlaim faoi tíortha na hEorpa. Bhain siad an-taitneamh as agus d'fhoghlaim siad morán. Maith sibh mór dos na múinteoirí chomh maith agus do mhúinteoir Róisín a stiúraigh an feachtas. We didi it! I'm so proud to announce that Gaelscoil Chionn tSáile has succeeded in achieving the EU Flag and the Blue Star certificate on our first attempt! The school took part in the Blue Star Programme which aims to improve European awareness in children. Due to the hard work the classes did on what it means to be a member of the EU and being a European citizen. 3rd-6th classes did lots of research on the member countries of the EU and organised a European Day in school where everyone got to share what they had learned about the various countries. All the children in the school really enjoyed and learned from it. Very well done to all the teachers involved and to Múinteoir Róisín who coordinated our application. Bhí seans againn inné -an 8ú Meitheamh 2017 -an seic don airgead a bhailíomar do Jayden Fuiréas a bhronnadh ar a mháthair. 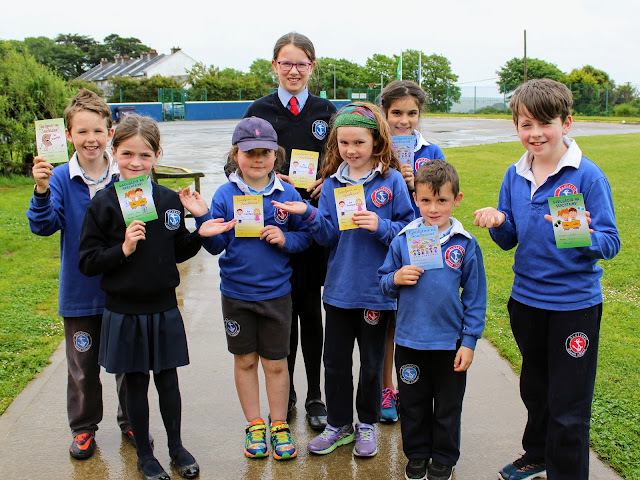 Bhailíomar €344.00 dó ag an mhaidin bricfeasta ar scoil i rith Seachtain na Gaeilge, 2017. Go raibh míle maith agaibh go léir, ó Jayden, as ucht bhur bhflaithiúlacht! We had the opportunity to present a cheque for the money we raised for Jayden Forrest to his mother Caroline yesterday, 8th June, 2017. Because of your generosity we managed to raise €344.00 by hosting a breakfast in school morning during Seachtain na Gaeilge 2017. A heartfelt thank you all, from Jayden, for your generosity! 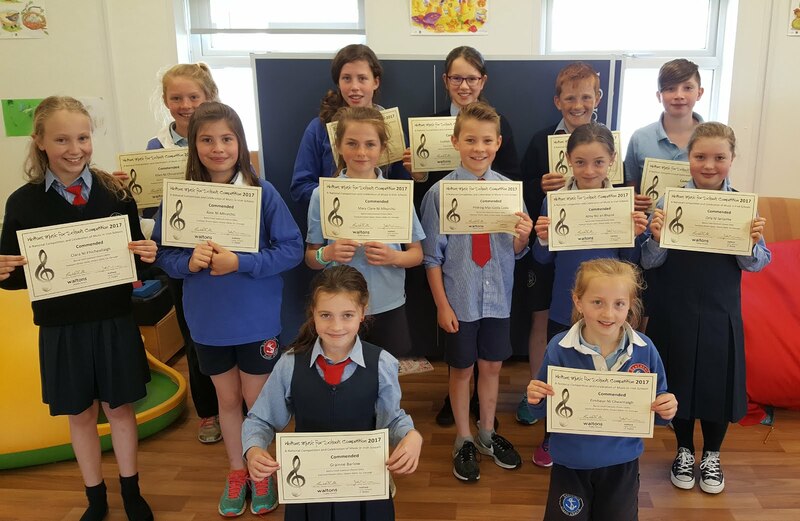 Comhghairdeas (congratulations) ollmhór leis an "mini" banna cheoil a fuair (who got) teastas (certificate) "Highly Commended " sa chomórtas ceol (music competition) Waltons cúpla mí ó shin. Dúirt na moltóirí (the judges) go rabhadar an- tógtha leis (very impressed) na poirt a sheinneamar (tunes played). Maith sibh! Bhuaigh roinnt páistí duaiseanna sa chomórtas ealaín point-to-point le déanaí. Beidh na pictiúirí go léir le feiscint ag an point-to-point ag an deireadh seachtaine seo. An point-to-point saor in aisce do pháistí ach caithfidh na daoine fásta íoc ag an ngeata. 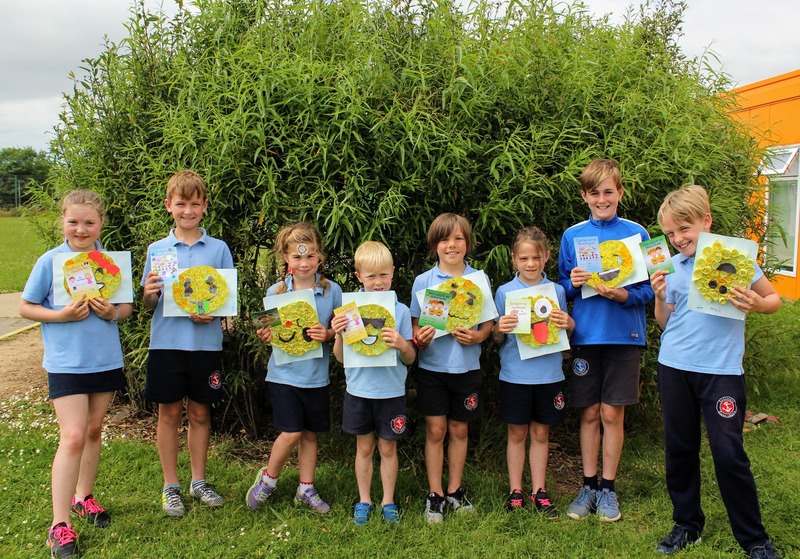 Some children from the Gaelscoil won prizes in the recent point-to-point art competition. All the pictures will be displayed at the point-to-point this weekend, Saturday 3rd and Sunday 4th June 2017 . Entrance is free for children but there is a charge for adults. Féach thíos. Beidh na héadaí srl seo ag du go dtí an siopa dara láimhe ar ball muna dtiocfaidh éinne chun iad a fháil ó oifig na scoile. See below. These pieces of clothing etc. will be sent to the second hand shop soon if nobody claims them from the school office. Beidh Lá Spóirt againn ar scoil ar an gCéadaoin seo chugainn 07/06/17. Bíodh éide spóirt agus uachtar gréine ar gach duine. Táimid ag tnúth go mór leis! We are having our annual Sports Day on Wednesday 07/06/17. Pupils are to wear their sports clothes and suncream. We are really looking forward to it!